Back in December, Microsoft surprised everyone – those who hadn’t been following the rumors, anyway – by announcing it was shifting Edge to Google’s ubiquitous Chromium platform. Chromium promises better and faster support for constantly evolving web standards. You can now give this shinier version of Edge a try for yourself. The company today released its first Developer and Canary builds of the browser – the former updated weekly, and the latter daily. I’ve been able to test an early build briefly before it went public. The first thing I noticed is that it’s not simply a carbon copy of Edge’s skin with Chromium guts. Aesthetically, it looks like a cross between Microsoft and Google’s current browsers, although this beta version unfortunately does not support the nifty acrylic effects of Windows Fluent. Upon launching the app, you’re asked to choose between three New Tab layouts: Focused, Inspirational, and Informative. Focused is just a blank page with a search bar and some commonly used sites. Inspirational adds a background image pulled from Bing, while Informative behaves the most like the old Edge, adding Microsoft‘s News Feed to the mix. You’re also able to sign in with multiple profiles that will sync across devices, as with Chrome. Perhaps the most remarkable thing about the new version of Edge is how unremarkable it is. For now, it pretty much just works. I didn’t spot any rendering errors during casual browsing, 4K YouTube videos played smoothly, and I didn’t notice egregious slowdown when running multiple tabs compared to either Edge or Chrome. I’ve always had some performance issues with our own CMS using the classic version of Edge that weren’t an issue with this fancy new version. Of course, the browser is far from complete. It’s missing some of Edge’s best features, such as the reading list, annotations, and book reader. And though Microsoft said you’d be able to use Chrome extensions, you’re currently limited to downloading the approved ones in Microsoft’s Store. Visiting the Google Chrome Store prompts you to enable an “Allow extensions from other stores” setting doesn’t actually exist yet. Still, it’s encouraging to see the progress made so far, and once complete it could be Microsoft’s best shot at being a leader in the browser market again. It also continues the company’s promises of moving towards more open source platforms. 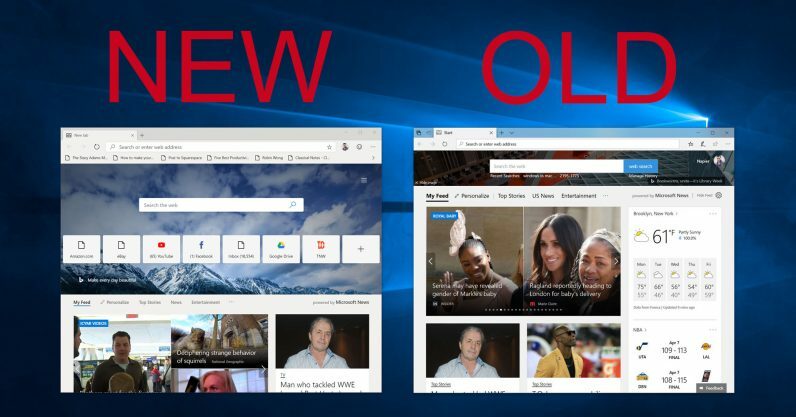 You can download the Chrome-ified version of Edge by heading over to Microsoft’s Edge Insider site. Microsoft does caution that this first build is meant for developers and knowledgeable enthusiasts only. As for a more public Beta, Microsoft simply says it’ll be available “in the future.” For more on what’s coming in this and future builds, check out Microsoft’s post here.